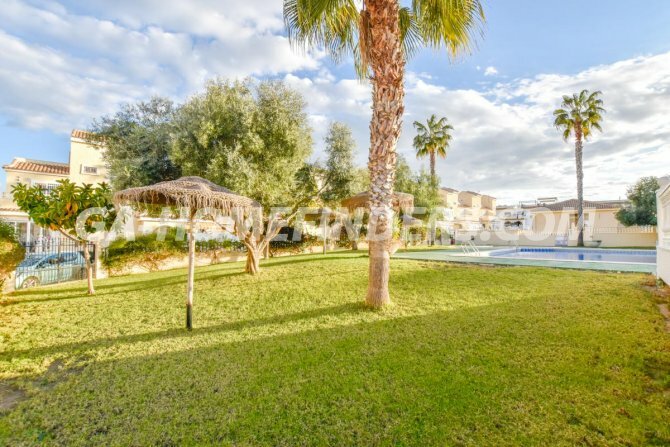 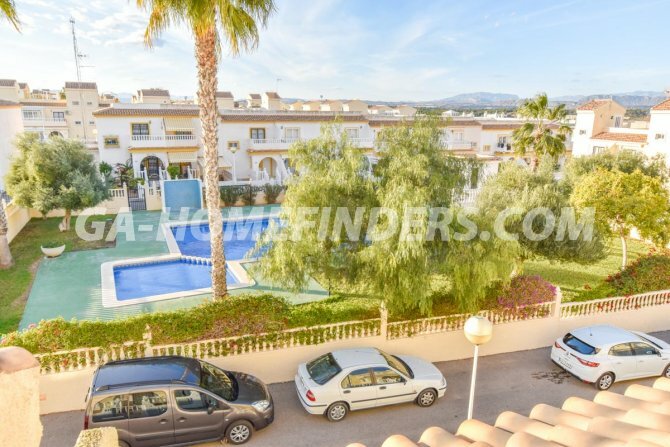 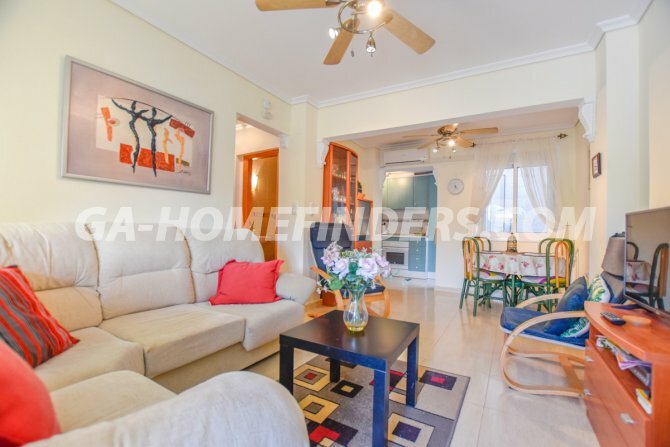 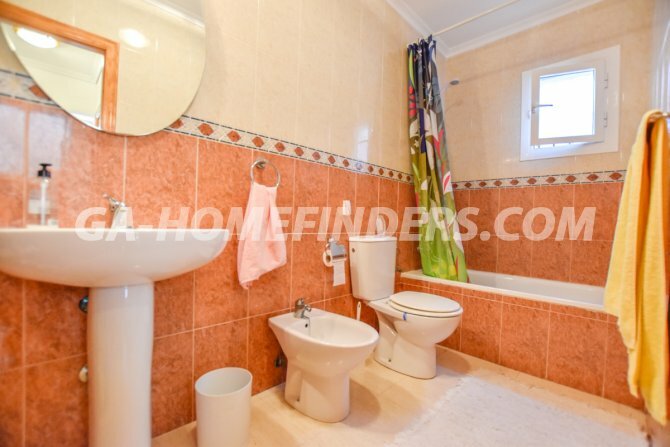 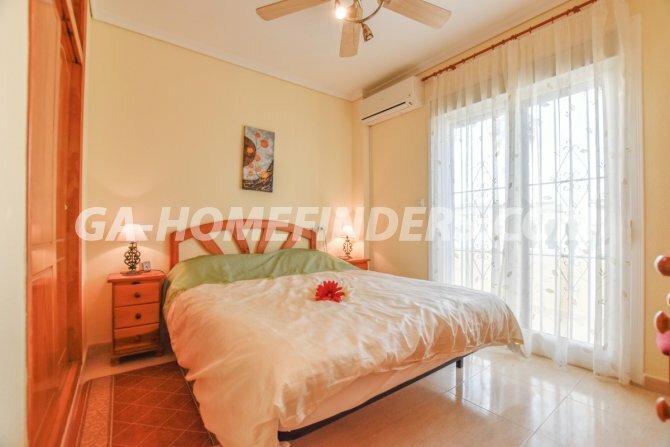 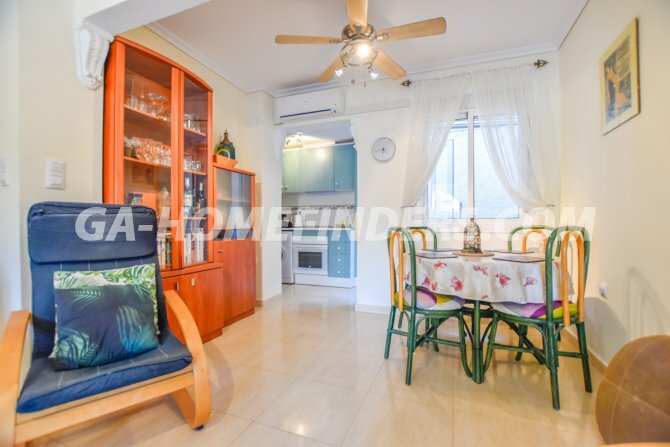 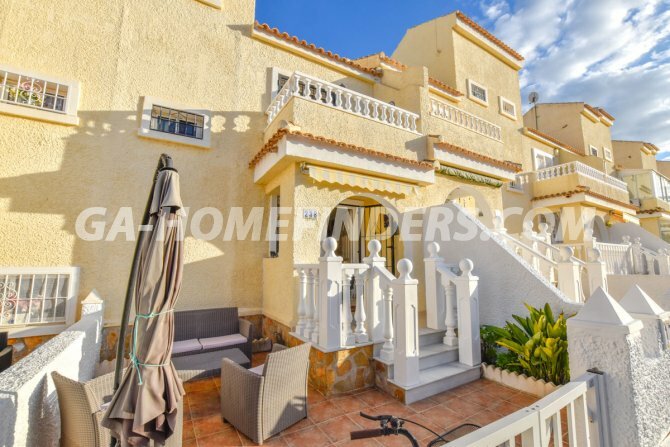 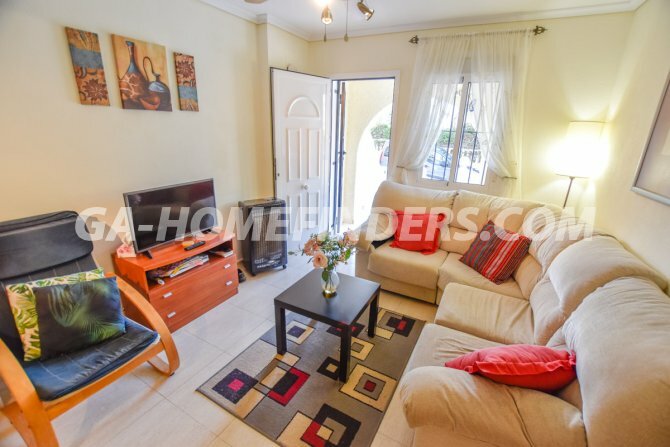 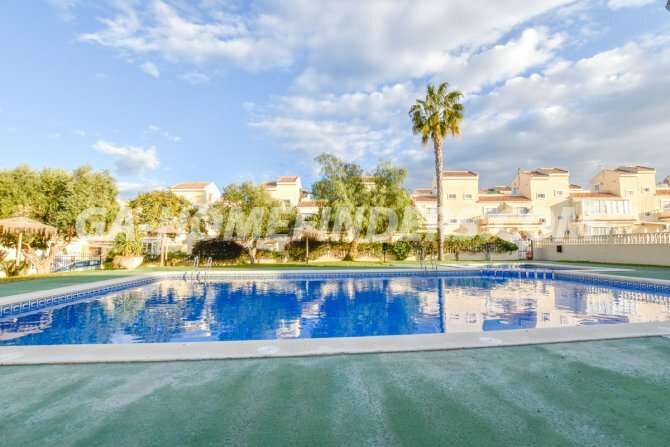 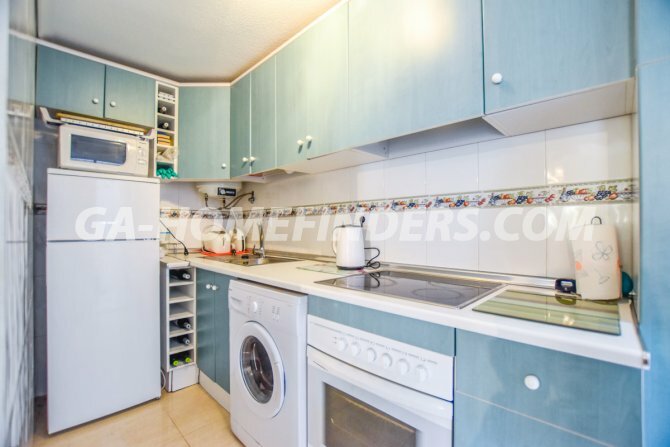 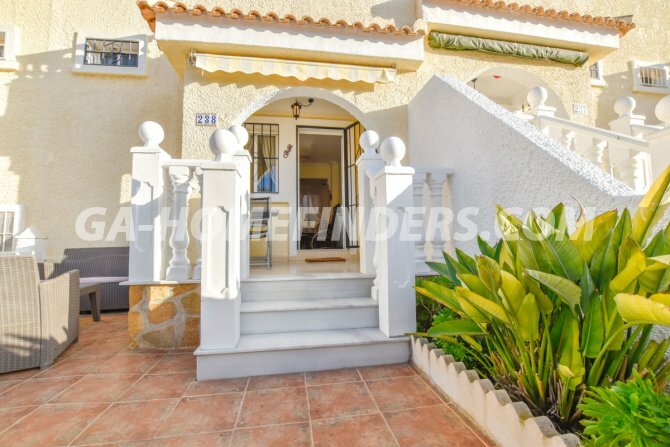 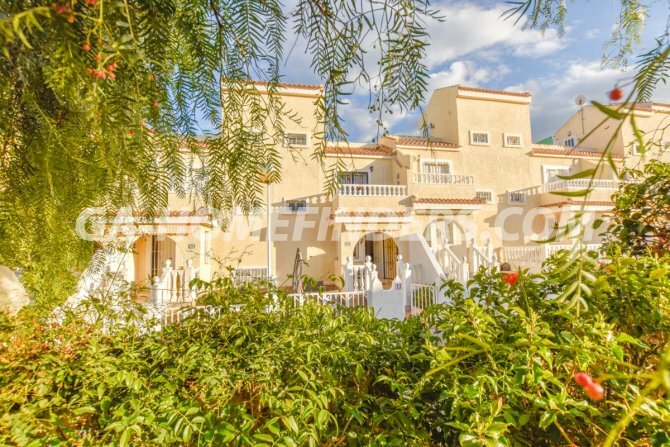 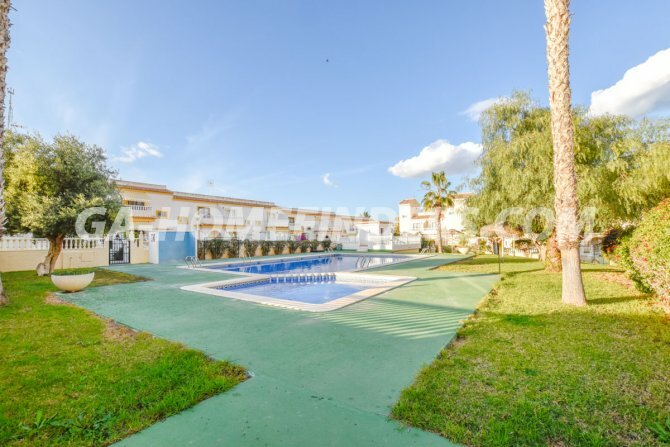 Furnished townhouse overlooking the communal swimming pool with 2 bedrooms and 2 bathrooms. 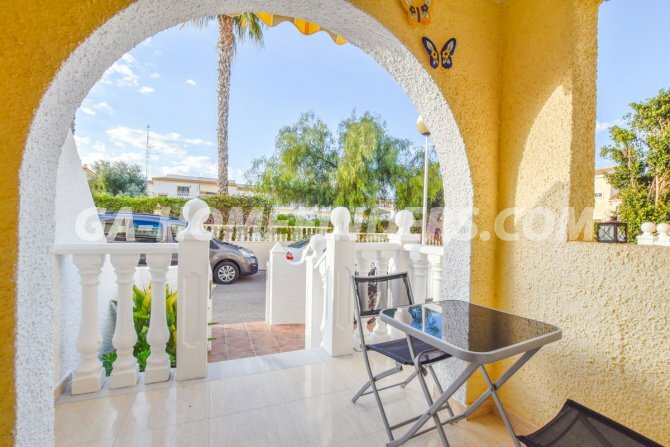 At the entrance of the house there is a spacious terrace and a porch. 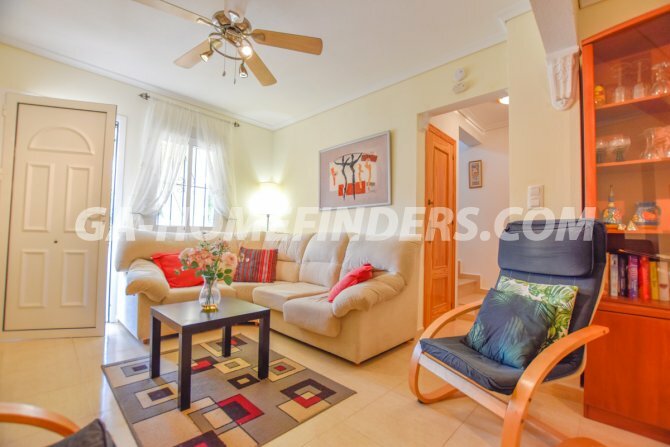 The ground floor comprises of the living room, open plan American style kitchen, bathroom, storage room and patio. 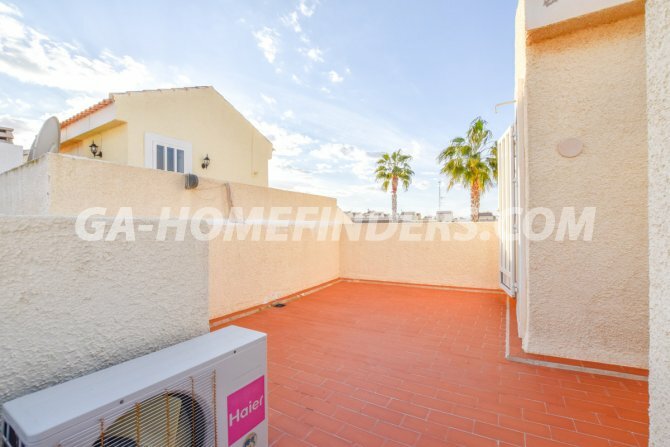 On the first floor there are two bedrooms both of which have fitted wardrobes with the master bedroom having access to a private balcony, family bathroom and a hallway with additional fitted cupboards. 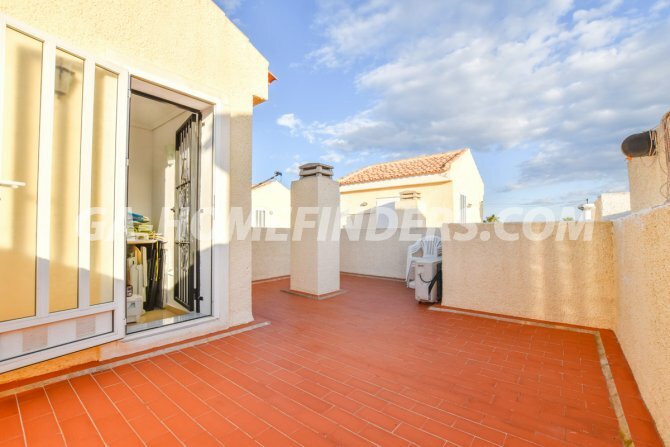 There is a large solarium with mountain views. 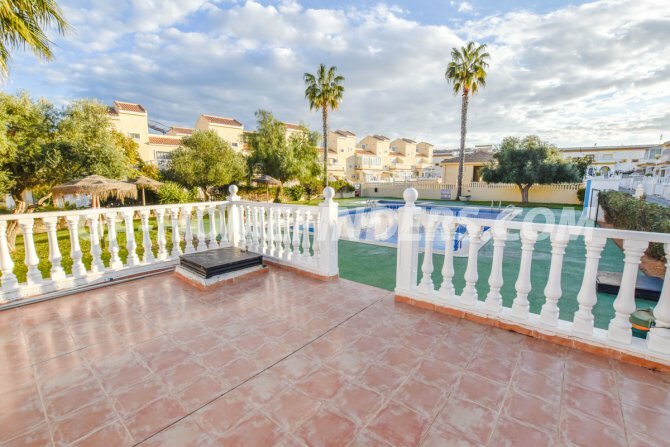 All the windows of the house have grills and shutters. 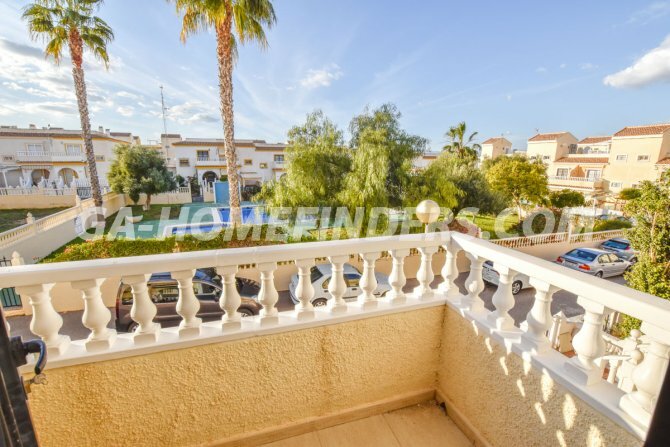 It is located in the lower part of Gran Alacant, in a very quiet area, close to the nature reserve, Carabassi beach and a commercial area with a range of restaurants and bars.